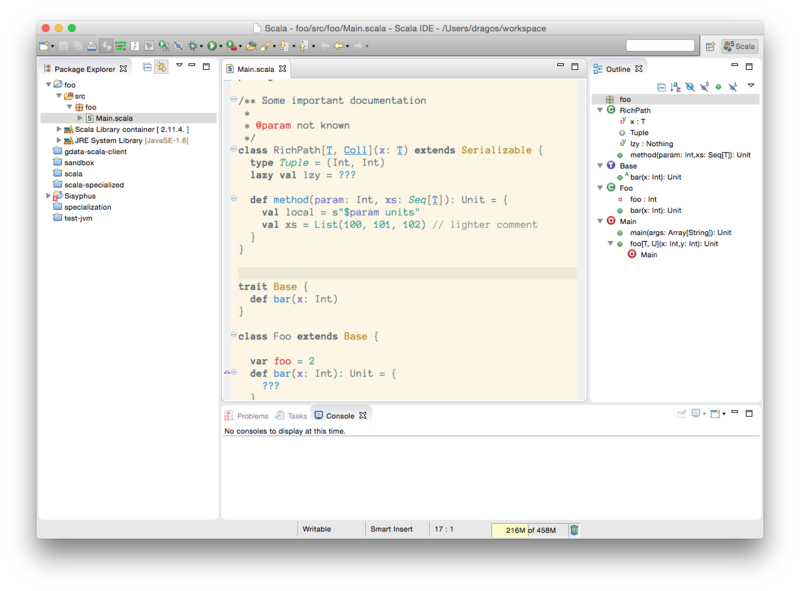 The bundle contains the lastest release version of the Scala IDE for Eclipse and it comes pre-configured for optimal performance. No need to configure update sites, and Check for updates will keep your development environment up to date. Whether you are a seasoned Scala developer, or just picking up the language, this is the fastest way to get productive. This release is available for Scala 2.12 (with support for Scala 2.10 and 2.11 projects in the same workspace) and is based on Eclipse 4.7 (Oxygen). See Release Notes and the Changelog for a detailed list of changes.